I have a trio of fall cards to share with you today. 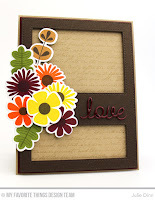 They all feature the gorgeous Fall Florals stamp set and Fall Florals Die-namics. I stamped a ton of flowers and leaves in beautiful fall colors with the following Premium Dye Inks, Cranberry Cocktail, Daffodil, Factory Green, Fuse Green, Jellybean Green, Orange Zest, Paver Red, Safety Orange. I stamped the centres of the flowers in Black Licorice and Hot Fudge Hybrid Ink. 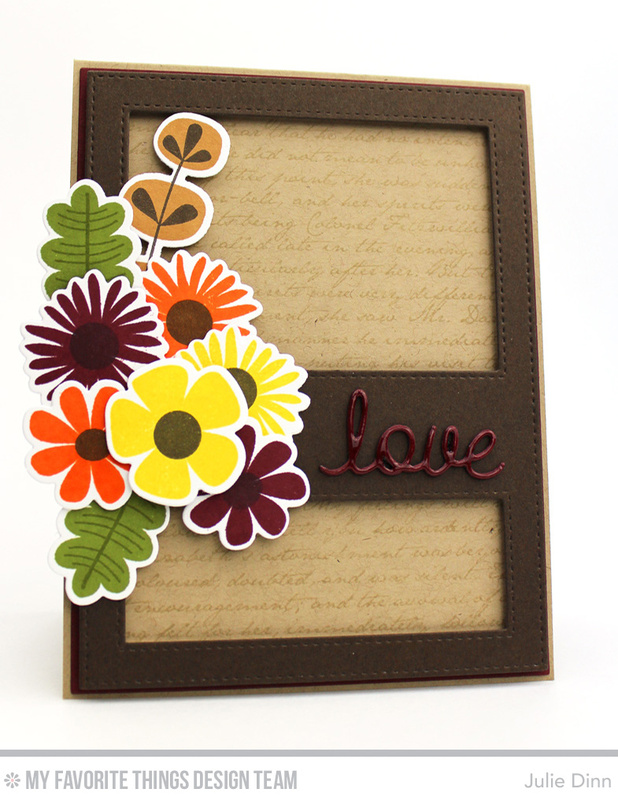 I used the MISTI to stamp these images, it allows me to get beautiful, crisp flowers every time. Once the images were all stamped, I die-cut them with the Fall Florals Die-namics. I prefer to die-cut my images after they are stamped. I've tried doing it a few different ways, but this is the way that works for me. I paired the flowers with a few of my favourite frames, Stitched Rectangle Frames, Stitched Oval Frames, and the Stitched Cover-Up Companion - Vertical. 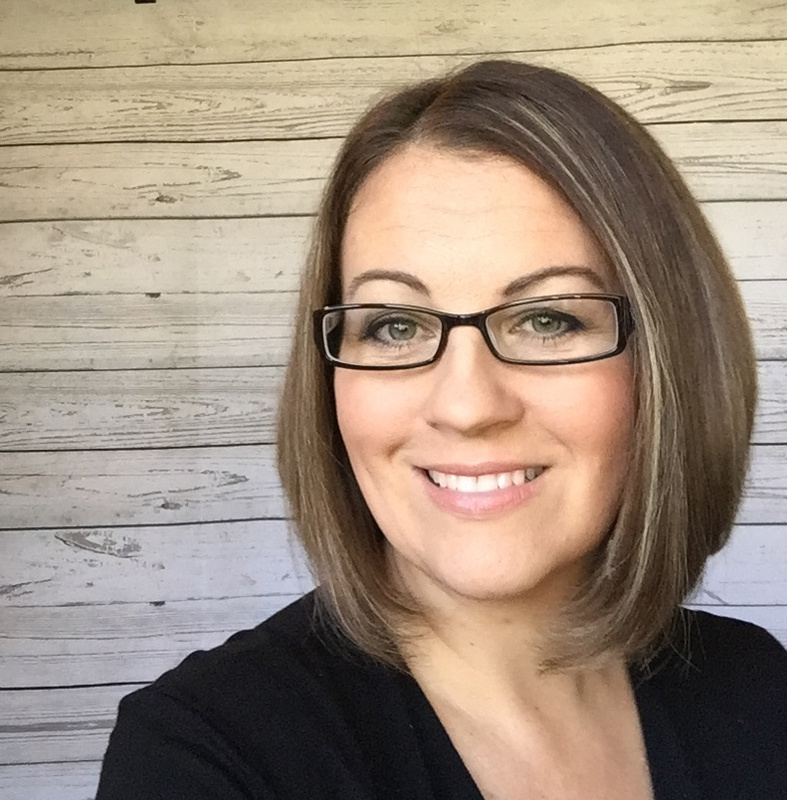 The sentiments were created with the Words of Gratitude, and Love & Adore You Die-namics. I adhered a 3D Creative Sheet to the back of the card stock before I die-cut them. This gives the sentiments a but of extra dimension. 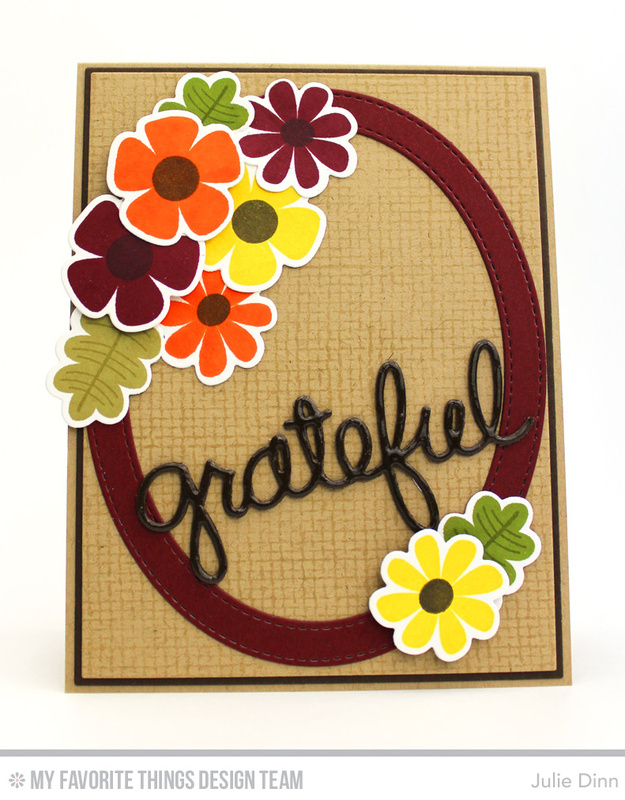 I added a thin layer of Glossy Accents to each of the sentiments to make them pop. 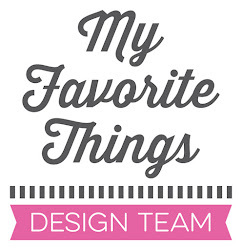 Be sure to check out the MFT Blog to see all the gorgeous creations the rest of the design team has to share with you today. Fall floral perfection, I ADORE these colors! !